Product Designers. Get insight into what drives our design team in Zhuhai, China. When developing and manufacturing products in China, it is key to educate yourself about the production process. The more you know, the better positioned you are. Understanding the process enables you to make savvy, cost-efficient decisions and always stay on top of new developments relating to your product. A production specification sheet is of key importance when producing a product in China. These put the control into your hands and ensures that quality procedures are put into place. The result is consistently high-quality products, setting your business up for success. A product specification sheet is a concise document, usually one or two pages, with key information relating to your product. Having all the necessary facts in an easy to read format keeps things simple and organized across the design and production process. There is no singular format for a product spec sheet. Instead, these relate closely to the type of product you are producing. For example, technology requires a far more comprehensive spec sheet than a plush toy would. The key requirement of a specification sheet is that it includes all important information which relates to the production of an item. Consider including features, benefits, potential accessories, dimensions, weight, technical specifications, safety or licensing requirements, and diagrams. Explaining parameters for potential defects safeguards your brand in the event of these. For example, if you are producing a plush toy, one would write that ’tears in fabric’ and ‘permanent marks’ are defects. Employ the services of a trusted translator to interpret your spec sheet into Chinese. This limits the potential for costly misunderstanding which can cause production delays. Phrasing should be written in clear, plain English. Always use active sentences. Avoid generic descriptive words - exact specifications and expectations will serve you better. Are there any health and safety standards or shipping guidelines which would be useful to include. Pantone is the industry standard for color specifications, make sure that you use this. Writing measurable goals makes sure that your team and the manufacturers are accountable. Images like diagrams, sketches or renderings convey a lot of information and can increase understanding. Request feedback from your team. Running a spec sheet past people of varying backgrounds results in expert advice on whether or not what you have written is feasible. In summary, giving a spec sheet to factories circumvents mistakes which often arise from misunderstanding or poor communication. Without this document, factories may take certain liberties to cut costs or use materials of their choosing. 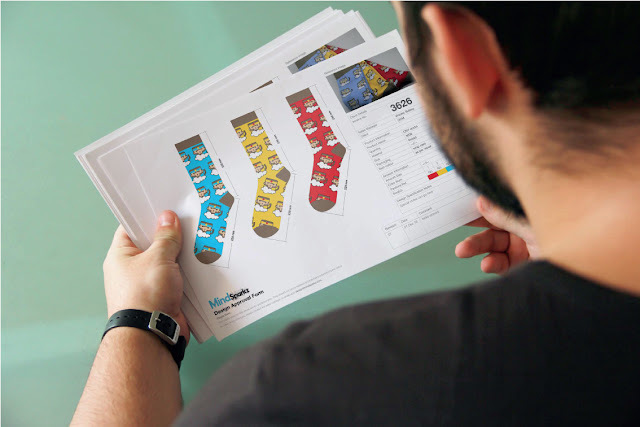 With a product specification sheet, there is no excuse for things not to go the way you have detailed. Detail is a key word here. This document is not just a summary, it’s a comprehensive outline everything you can think of to define a product. Ultimately, this will enable a better final result. Mindsparkz is a multinational team of highly motivated, creative and demanding artists. From print publishing to industrial design, we love to work one-on-one with our clients to create amazing projects. Based in Hong Kong our team is able to pull inspiration from a wealth of Eastern and Western styles while using local facilities to keep production costs as low as possible. A creative and energetic group of graphic, web, and industrial designers have joined together to form a collaberative team the likes of which have not been seen since Voltron. How do we design? By walking into an office that breeds creativity, putting our heads together, and coming up with the best solution possible for our clients. With over thirty years of combined experience, our staff has been involved in projects across the board. We have extensive knowledge of graphics design and are able to draw new ideas and concepts from our Asian environment. Our location has also allowed our industrial designers to work extremely close with factories inside of mainland China.